My attitude toward becoming a vegan was similar to Augustine’s attitude toward becoming celibate—“God grant me abstinence, but not yet.” But with animal agriculture as the leading cause of species extinction, water pollution, ocean dead zones and habitat destruction2, and with the death spiral of the ecosystem ever more pronounced, becoming vegan is the most important and direct change we can immediately make to save the planet and its species. It is one that my wife—who was the engine behind our family’s shift—and I have made. And this does not include the assault on the oceans, where three-quarters of the world’s primary fisheries have been overexploited and vast parts of the seas are in danger of becoming dead zones. We can, by becoming vegan, refuse to be complicit in the torture of billions of animals for corporate profit and can have the well-documented health benefits associated with a plant-based diet, especially in the areas of heart disease and cancer. Your contribution to pollution begins with what you decide to purchase to consume. It’s not just with the occasional purchase; it’s with every food item you eat, every day. With meat and animal products, the pollution associated with your choice is massive. In order to raise that animal for you to eat, there is baggage that silently comes along with it—silent to you, that is, although it speaks loudly elsewhere. In the United States alone, chickens, turkeys, pigs, and cows in factory farms produce over five million pounds of excrement per minute. These are the animals raised each year so that people can continue eating meat, and they produce 130 times more excrement than the entire human population in our country. This manure sewage is responsible for global warming, water and soil pollution, air pollution, and use of our resources. The waste produced by the animals raised for food includes with it all the antibiotics, pesticides, herbicides, hormones, and other chemicals used during the raising and growing process. Accompanying this is methane released by the animals themselves, as well as the carbon, nitrous oxide, and additional methane emissions produced during the whole raising, feeding, and killing process. On any given acre of land we can grow twelve to twenty times the amount in pounds of edible vegetables, fruit, and grain as in pounds of edible animal products. We are essentially using twenty times the amount of land and crops and hundreds of times the water, as well as polluting our waterways and air and destroying rainforests, to produce animals to kill and eat … which is unhealthier than eating the plant products we could have produced. 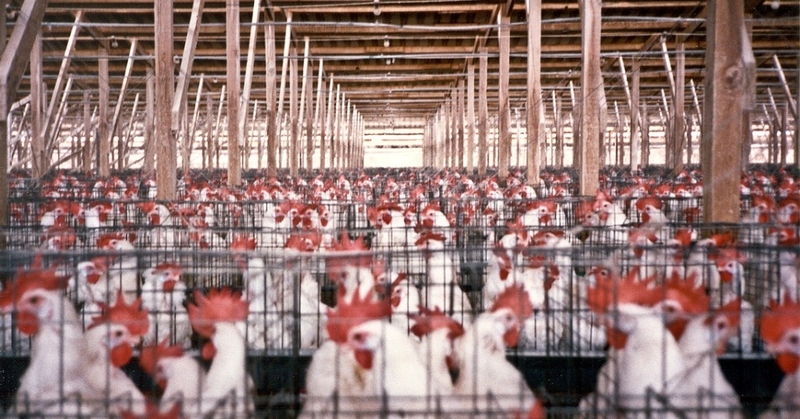 The animal agriculture industry has used the excuse of national security, public safety, trade agreements and the need for business secrets to pass what are known as ag-gag laws in about a dozen states and, on the federal level, the Animal Enterprise Protection Act, all enhanced with anti-terrorism laws to criminalize anyone who investigates or challenges the industry. It is illegal under the Patriot Act to issue statements or carry out actions that harm the profits of the animal agriculture industry. Radical change, as with every challenge to the power of our corporate state, will have to be built outside the structures of power, including the leading environmental groups, which have refused to confront the livestock industry. Given the slew of recent laws that prohibit the photographing or filming of how we handle our livestock, don’t expect to see very many pictures from within the vast warehouses where animals are kept in atrocious conditions as they await slaughter. Don’t expect politicians, bought off by agro-business money, to advocate for a diet that can have a massive impact on global warming. And don’t expect the mass media, which depend on advertising dollars from the industry, to inform us about what this industry is doing to the planet. “Cowspiracy: The Sustainability Secret,” a new documentary, examines the power of the animal agriculture industry, which is one more massive piece of the puzzle in the corporate strangulation of the common good. The film attempts to let the public know not only about the environmental effects of animal agriculture but what is being done to and put into the food we eat. The refusal by major environmental organizations, including Greenpeace, 350.org and the Sierra Club, to confront the animal agricultural business is a window into how impotent the activist community has become in the face of corporate power. I reached Kuhn in Berkeley and Andersen in San Francisco by phone. 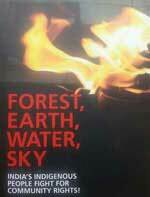 We have only a few years left, at best, to make radical changes to save ourselves from ecological meltdown. A person who is vegan will save 1,100 gallons of water, 20 pounds CO2 equivalent, 30 square feet of forested land, 45 pounds of grain, and one sentient animal’s life13 every day. We do not, given what lies ahead of us, have any other option. 1. “Water Footprint Assessment.” University of Twente, the Netherlands. 2. “What’s the Problem?” United States Environmental Protection Agency. “Livestock’s Long Shadow: Environmental Issues and Options.” Food and Agriculture Organization of the United Nations. 2006. 4. Goodland, R; Anhang, J. “Livestock and Climate Change: What if the key actors in climate change were pigs, chickens and cows?” WorldWatch, November/December 2009. Worldwatch Institute, Washington, D.C., USA. Pp. 10-19. 5. “Lifestock’s Long Shadow: Environmental Issues and Options.” Food and Agriculture Organization of the United Nations. 2006. 6. Jacobson, Michael F. “More and Cleaner Water.” In “Six Arguments for a Greener Diet: How a More Plant-Based Diet Could Save Your Health and the Environment.” Washington, D.C.: Center for Science in the Public Interest, 2006. 7. Oppenlander, Richard A. “Comfortably Unaware: What We Choose to Eat Is Killing Us and Our Planet.” New York City: Beaufort Books, 2012. 9. “Water Trivia Facts.” United States Environmental Protection Agency. 10. Oppenlander, Richard A. “Food Choice and Sustainability: Why Buying Local, Eating Less Meat, and Taking Baby Steps Won’t Work.” Minneapolis, MN: Langdon Street, 2013. Margulis, Sergio. Causes of Deforestation of the Brazilian Rainforest. Washington: World Bank Publications, 2003. 11. Thornton, Phillip, Mario Herrero, and Polly Ericksen. “Livestock and Climate Change.” Livestock Exchange, No. 3 (2011). 12. Pimental, D., Pimental, M. “Sustainability of meat-based and plant-based diets and the environment.” American Journal of Clinical Nutrition, Vol. 78, 660s-663S, September 2003. 13. “Water Footprint Assessment.” University of Twente, the Netherlands.